A new theory of how the brain constructs emotions that could revolutionize psychology, health care, law enforcement, and our understanding of the human mind. Emotions feel automatic to us; that’s why scientists have long assumed that emotions are hardwired in the body or the brain. Today, however, the science of emotion is in the midst of a revolution on par with the discovery of relativity in physics and natural selection in biology. This paradigm shift has far-reaching implications not only for psychology but also medicine, the legal system, airport security, child-rearing, and even meditation. Leading the charge is psychologist and neuroscientist Lisa Feldman Barrett, whose theory of emotion is driving a deeper understanding of the mind and brain, and what it means to be human. 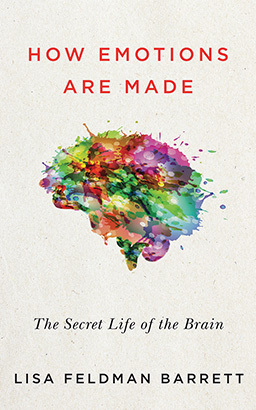 Her research overturns the widely held belief that emotions are housed in different parts of the brain, and are universally expressed and recognized. Instead, emotion is constructed in the moment by core systems interacting across the whole brain, aided by a lifetime of learning.